Although situated just 22 miles offshore from Los Angeles, Catalina Island is an oasis that remains somewhat under the radar. Many visitors to L.A. seem to overlook Catalina, and even SoCal residents forget about this tropical getaway close to home. Getting to Catalina is a breeze via Catalina Express, which sails from Long Beach, San Pedro, Newport Beach and Dana Point. It’s an easy day outing. But spending the night is more fun. Growing up, my family and I would often ride a big boat to Catalina Island. Back then, it took two hours to reach the island that’s just 22 miles from L.A. 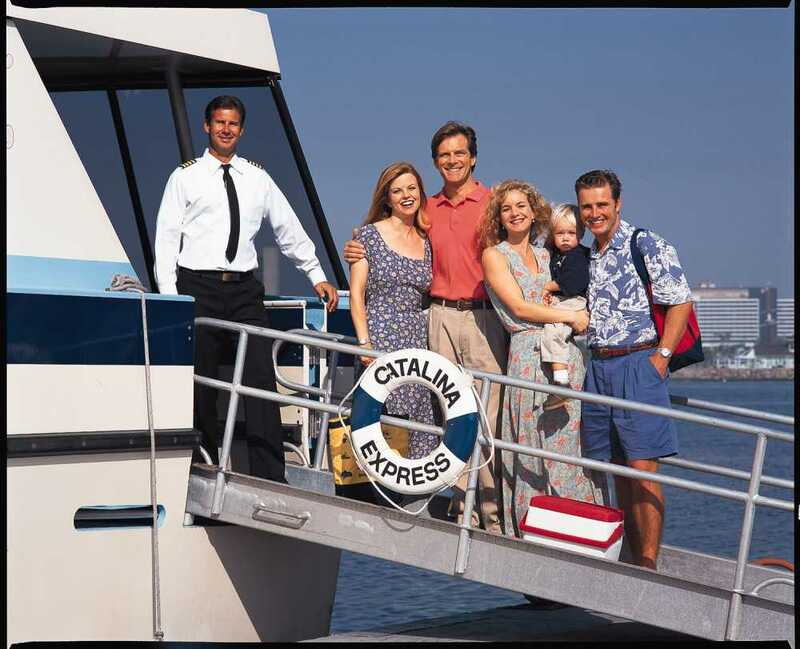 The sleek Catalina Express changed all that years ago, cruising to Catalina in just one hour. The boat ride itself is a lot of fun and sometimes we see dolphins along the way. There’s plenty of seating, a food station, and restrooms.Be sure to check the Catalina Express website before you go, because they often offer a free boat ride on your birthday! Before you know it, you’re in the city of Avalon, (just a little over two square miles), which was developed into a tourist destination by William Wrigley, Jr. in the 1920s. Colorful cottages, waterfront cafes and shops dot the quaint harbor town. Few cars are allowed on the island so walking and golf carts are the primary mode of transportation. 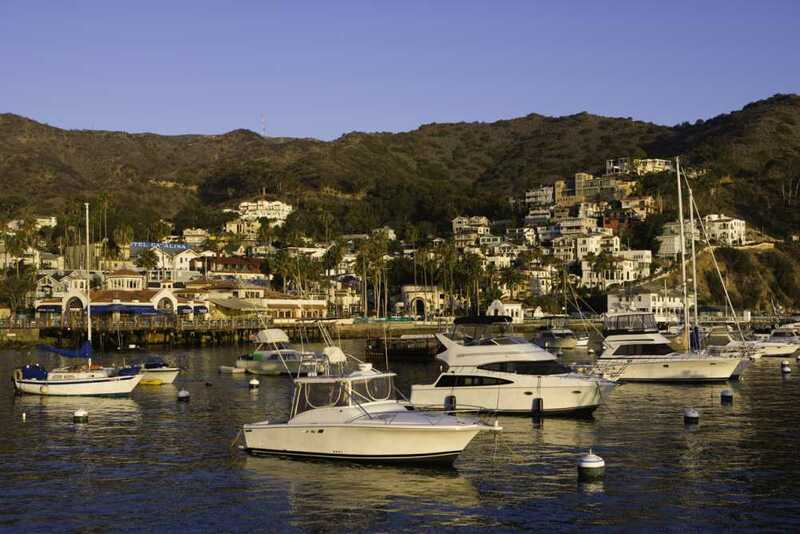 We usually like to spend at least one night on Catalina, because there’s so much to do. When I visited Catalina as a child with my family the main attractions were riding a golf cart around the Avalon, and glass bottom boats. Those are still popular things to do, but there are so many other activities too. 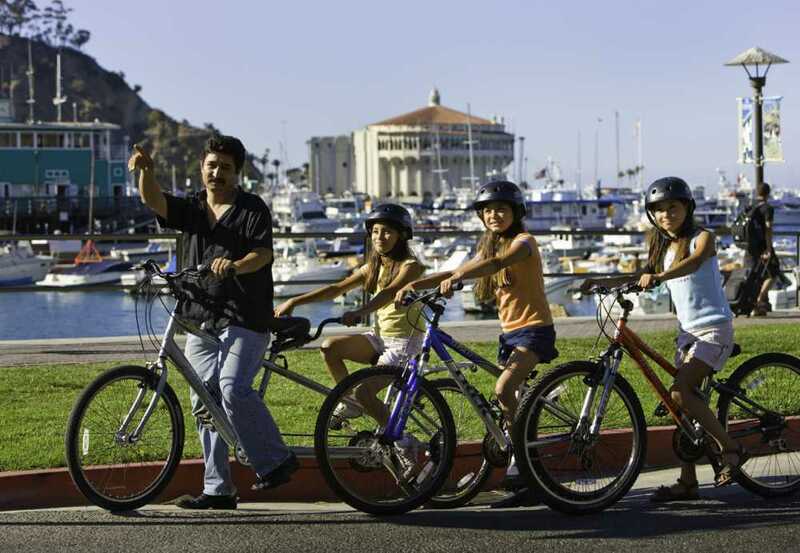 Fishing, boating, snorkeling, kayaking, miniature golf, bicycling and zip lining are among the many recreational activities available on Catalina. Descanso Beach has the nicest stretch of sand in the Avalon area. You can also take kayak lessons here. Still a signature Catalina activity is touring Avalon’s hilly streets in a golf cart. Four- and six-seat golf carts are available to rent from Catalina Island Golf Carts. Using a map, navigate residential streets lined with cozy Victorian homes up to the Wrigley Memorial and Botanical Garden. Bring a camera for spectacular bay views along the way! Bicycling is another fun island activity. Rent bikes from Brown’s Bikes and peddle along the coast on flat terrain for about one mile to the helicopter landing. Grab lunch at the Buffalo Nickel restaurant and watch helicopters take off and land. Fishing for calico bass from the Green Pleasure Pier is popular with kids. Rent gear on the pier. Young anglers can also compete in the Kids’ Fishing Derby every Wednesday from June 25–Aug. 27. Worth seeing are Catalina’s flying fish, which return every summer. The evening boat excursion uses a bright spotlight so passengers can see thousands of fish jumping in and out of the water. Located on the waterfront, Antonio’s Pizza and Cabaret is among our favorite places for a laid-back meal on the outdoor deck overlooking Avalon Bay. Order off the menu or build your own pizza, play oldies on table-top juke boxes and enjoy ocean breezes. More Catalina staples include Lloyd’s of Avalon Confectionary, on the island since 1934. Watch salt water taffy being made in the shop window and forget the calories as you dig into Lloyd’s signature caramel apples, chocolates and freshly baked cinnamon rolls. For delicious, homemade waffle cones, visit another iconic Catalina sweet shop – Big Olaf’s. They don’t make their ice cream, but the waffles are delicious. Generally, peak season is from late May to mid-October. Lodging options include locally owned hotels and vacation cottage rentals. At the historic Hotel Catalina, you can enjoy privacy in a family cottage half a block from the beach. Hotel amenities include a Jacuzzi, courtyard, barbecue area and complimentary goods from Avalon Bake Shop. 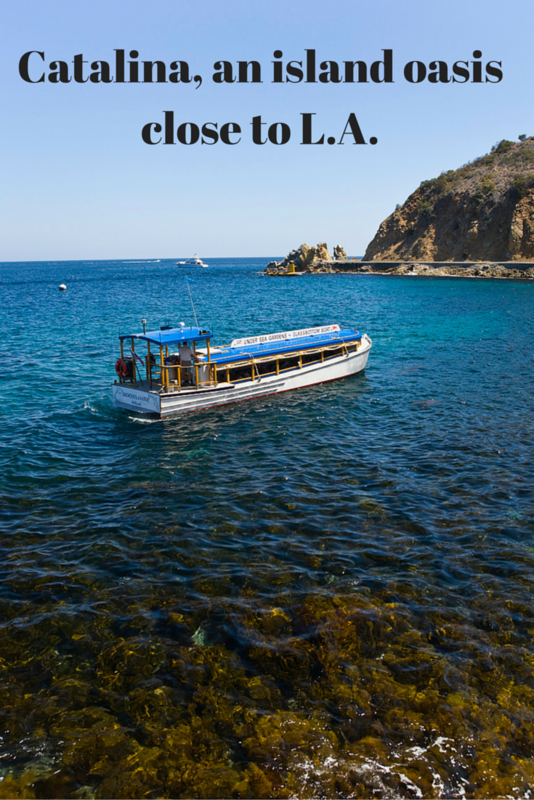 Be sure to ask about hotel packages that include Catalina Express fares.